As more people become aware of how blue light (especially late at night) can affect our sleep, our health, and our bodies, they are looking for simple ways to protect themselves. The most common source of blue light in our lives comes from our screens, and more specifically, from our smartphones. Whether you have an iPhone, an Android phone, or something else, the high-resolution screen on your smartphone emits Blue Light. 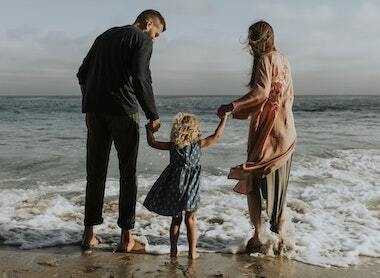 We’ll talk about why blue light isn’t healthy for our bodies, and other ways to protect ourselves further down in this article (or you can checkout my article on the best blue light blocking glasses!). However I want to start by talking about the best iPhone and Android Blue Light screen protectors you can buy in 2019. So when I review products and make product recommendations on EMF Academy, I take it seriously. I know that people trust my thoughts and opinions, and that means the world to me. I am always sure to test products myself, read reviews online, check available research, and anything else I can do to make sure that you get exactly what you’re looking for. What % of blue light is being blocked. I took all of these factors and more into consideration when making my recommendations. Alright, enough of me jabbering, let’s get to those products. This in my opinion (and the opinion of the thousands of people online that have purchased it) is by far the best blue light screen protector you can get for iPhone (I think they make them for Android phones as well. The link above is for the iPhone X and Xs, but they make them for all the iPhones. 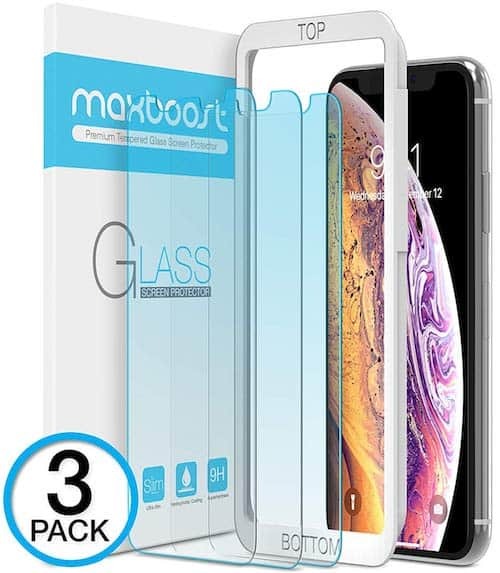 Maxboost has made one of the most popular tempered glass screen protectors on the market for a while, and this is their first product that has blue light filtering built in. Ultra-thin tempered glass that prevents scratches, is 100% accurate to touch, and is 3D touch compatible (when you press your finger down firmer to open special features). Fantastic blue light filtering technology that will help protect your eyes from strain, especially before bed. The glass is extremely high quality and very clear. 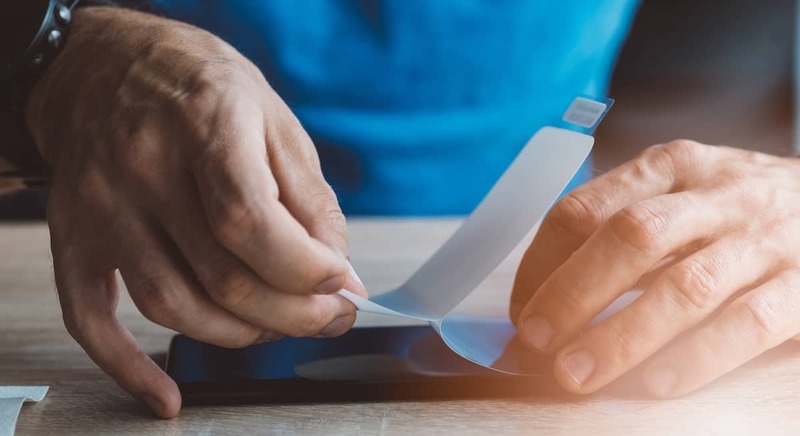 They use Hydrophobic and oleophobic clear layers that add a final coating that protects the screen from fingerprints, liquid residue and stains. Super easy to install. This is one of my favorite features. The Maxboost blue light blocking screen protector comes with a frame that goes over your phone to help you perfectly install the glass, so you don’t have to worry about not aligning it correctly. It also comes with wet/dry wipes and dust removal stickers. Overall I think this is my absolute favorite blue-light blocking screen protector for iPhone on the market today. On top of that, it’s a super good value, you get three tempered glass protectors for a really good price. 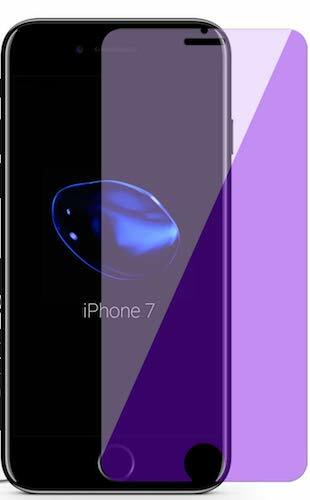 The next blue light blocking screen protector I want to talk about is the always popular Carebol tempered glass. Since this is a fairly simple product, I’ll mostly focus on outlining the features. I’ll just mention that the link above has options for iPhone X, iPhone 8, iPhone 7, iPhone 6 and iPhone 6s amongst others. So no matter what iPhone you have, this is a great anti-blue light screen protector for you. Anti-blue light technology. 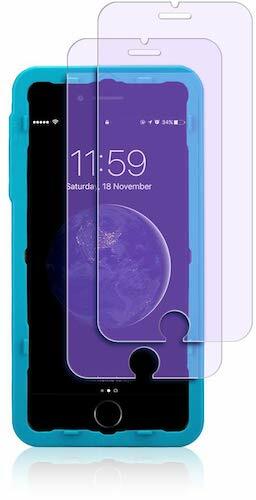 This is actually one of the higher blue-light filtering screen protectors on the market, meaning it blocks nearly all blue light. This will keep your eyes healthy and happy especially before bed. High-quality glass. With it’s ultra-thin (.3mm) thickness, it’s surprising how perfectly clear this screen is. It allows for flawless touchscreen compatibility and is extremely durable and scratch resistant. Fingerprint-proof. The glass, just like with the Maxboost, has an oleophobic coating which reduces fingerprints and keeps your screen very clean. Overall this is a fantastic product that rivals any anti-blue light screen protector on the market. I haven’t tried this one personally (I’m using the Maxboost on my phone) but the reviews speak for themselves. If you want to try it out yourself you can pick up a set on Amazon. Just like my other recommendations, this is a tempered glass screen protector that has anti-blue light technology built right in. The glass is your standard hydrophobic and Oleophobic coating that will protect the screen against oil and fingerprints while staying super touch responsive. The screen protector itself has a slightly yellowish tint (just to be aware of) that does allow it to do a great job of blocking blue light, but may be a little annoying to some people. It comes with 2 screen protectors, wet/dry wipes, and an easy installation kit. Another thing to note is that since the edges of the glass are rounded (for comfort) it blocks only the flat part of the screen, not everything. Alright, now that we’ve talked about the best anti-blue light screen protectors that you can buy for any phone, let’s talk a little bit about why this even matters. There are lots of reasons that reducing our exposure to blue light can be important, so let’s quickly cover some of the more important ones. The screen on your smartphone emits blue light so that you can see the screen clearly no matter how well lit the room you’re in is. The problem is that at night, when you’re laying in bed, your brain actually gets confused by this blue light because it essentially mimics light from the sun. Since your brain thinks it is light outside, studies have shown that the blue light actually suppresses the production of melatonin, which is the hormone our bodies produce that regulates sleep and wakefullness. Melatonin is produced from the pineal gland, and is not only important for sleep, but has benefits for fighting inflammation, cancer, and improving immune function. If you’ve read some of my other posts you know that this also happens when you have a high amount of EMF radiation in the bedroom. 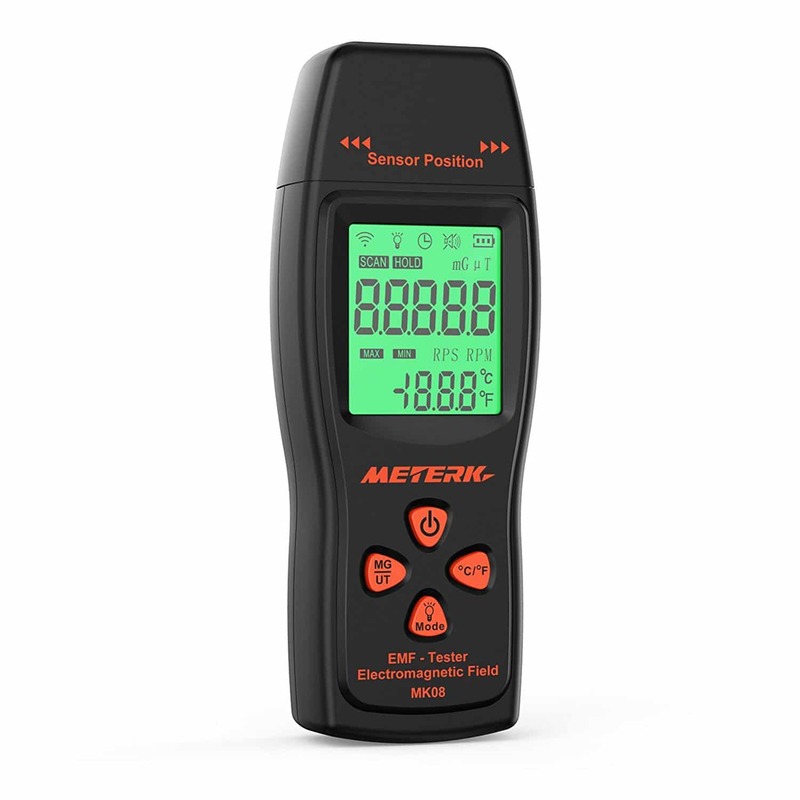 You see the body actually reads EMF radiation as a source of light and therefore thinks it is not nighttime. This also reduces our bodies ability to produce melatonin and can have dramatic effects on our sleep quality and quantity. If you follow the health scene, the term circadian rythm has probably come on your radar. Essentially, it our bodies internal clocks, and is essentially to wholistic health. The blue light from screens, especially close to bedtime, can throw off our circadian rythm by fooling our bodies into thinking it’s still light outside. Throwing off your circadian rythm not only affects your sleep in a dramatic way, but can be a domino effect that harms other parts of your health. Most doctors, and the National Sleep Foundation, recommend not looking at any screens within 2 hours of bedtime. If you are going to be looking at a screen, be sure you use some kind of blue light blocker, or disable blue light on your device (I’ll talk about that down below). Yup, you read that right. Scientists were able to measure blood glucose and insulin levels to discover that blue light from our screens and devices can alter our metabolic function. Safe to say that blue light exposure, especially close to bedtime, can have a dramatically negative effect on our health. Now that we’ve talked about just a few of the negative effects of Blue Light, let’s quickly look at a simple way you can disable it on your phone if you don’t have an anti-blue light screen protector! With IOS 9.3 came a great new feature for iPhone called night shift. Night shift takes the blue light out of your screen, and replaces it with adjustable warm tones. You can turn this feature on manually, or set it to automatically turn on at sunset and sunrise (or any times of your choosing). Open up your iPhone settings. Tap on the “Manually Enable Until Tomorrow” toggle. You can then adjust the screen tint as desired. If you don’t change any other settings, night shift will automatically turn off in the morning. Swipe up from the bottom of your phone until you’re at your settings dock. Fully press down on the screen brightness area until it makes the slider full-screen. Tap that on to manually enable Night Shift until morning and save your eyes from blue light! If you want to schedule Night Shift, just go back into the settings and adjust the schedule to your desire. You can have it set to turn off from sunset to sunrise, or set the times manually. Scroll down and open up the Display options. Just like with iPhone you can use the Opacity slider to adjust how much blue light this feature filters. Choose whether you’d like this feature to automatically enable from sunset to sunrise, or choose your own custom schedule. And voila, you’ve enabled the blue light filter on your Samsung phone! Blocking blue light close to bedtime is extremely important for our sleep and overall health. One of the easiest ways to ensure this happens, and protect our eyes and our bodies, is to get a simple screen protector for our phones that blocks or filters this blue light all the time. In this article I outlined what I believe are the absolute best products that accomplish this. I hope you’ve found this article helpful, and if you have any questions whatsoever please comment below or shoot me an email!